The city of Lakewood is taking another big step in its goal to be among the most bicycle-friendly cities in the country. The long-anticipated bike lane project on Madison Avenue is well underway, and expected to be completed within a couple weeks. As part of the city’s plans , two new innovative bike infrastructure methods are being used as part of the project. “In Lakewood, we see bicycling as an main mode of transportation, not just recreation, but as a integral part of our transportation network,” said City Planner Bryce Sylvester. It helps that Lakewood is densely populated, flat and most trips can be made in the city in less than four miles. Bike lanes for the entire stretch of Madison Avenue will have Door Zone Markings, which are small diagonal lines striped inside the bike lane to help keep cyclists out of the “door zone.” The idea is to reduce conflicts between people getting out of their parking cars as cyclists are using the bike lane. Reduce conflicts between bicyclists and turning motorists. Raise awareness for both bicyclists and motorists to potential conflict areas. Reduce bicyclist stress by delineating the bicycling zone. These innovative additions will be a first for not only Lakewood, but also for Northeast Ohio. 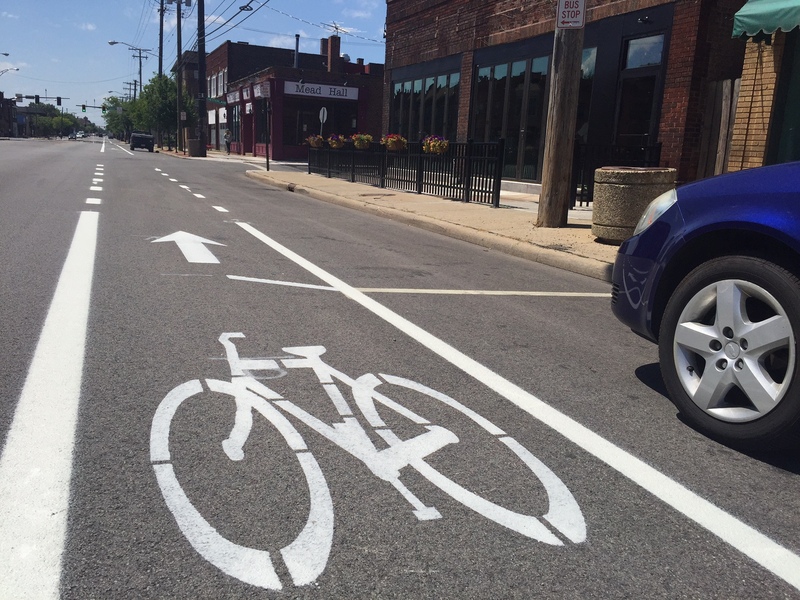 These additional striping measures will help raise awareness of cyclists on our roadways, and more importantly, will create safer conditions for both cyclists and motorists on Madison.